Earth Treks is a place where Golden loves to gather. After all, Earth Treks Golden Climbing Center is the premier indoor rock climbing and bouldering gym in Colorado. The 29,000 sq ft purpose-built facility opened in 2013 and boasts over 28,500 sq. ft. of climbing on walls up to 45 ft. high. 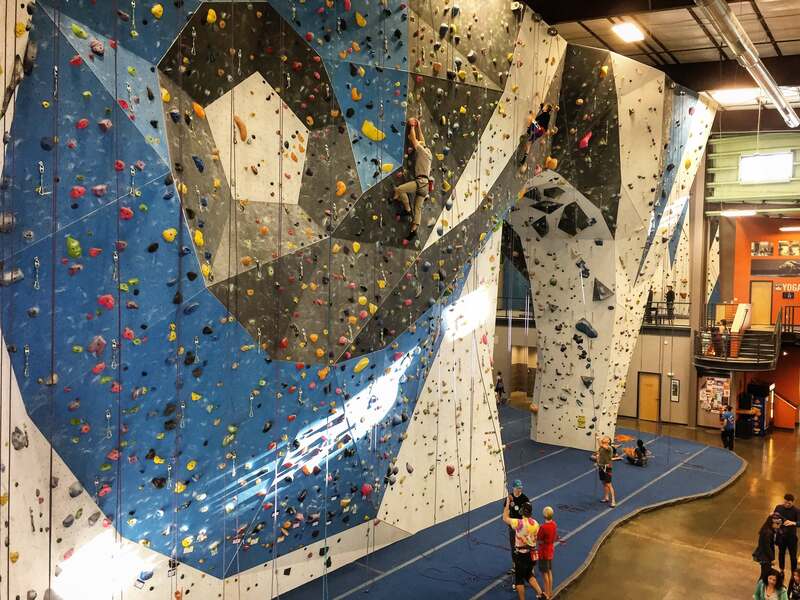 The indoor climbing gym includes tons of bouldering and top rope and lead climbing for all ages and abilities, a huge fitness area, a dedicated training area (hydraulic systems boards, hangboards and campus boards), a yoga room, and locker rooms. Indoor and outdoor rock climbers will also find their favorite climbing gear and apparel brands at Earth Treks. Chris Warner, Founder and CEO of Earth Treks, was born in New York City and graduated from CU in the 1980s. This world traveler has seen plenty of cool places-- the Alps, Africa, the Andes of Peru, Ecuador and Argentina, and the Himalayas of Nepal and Tibet, just to name a few. 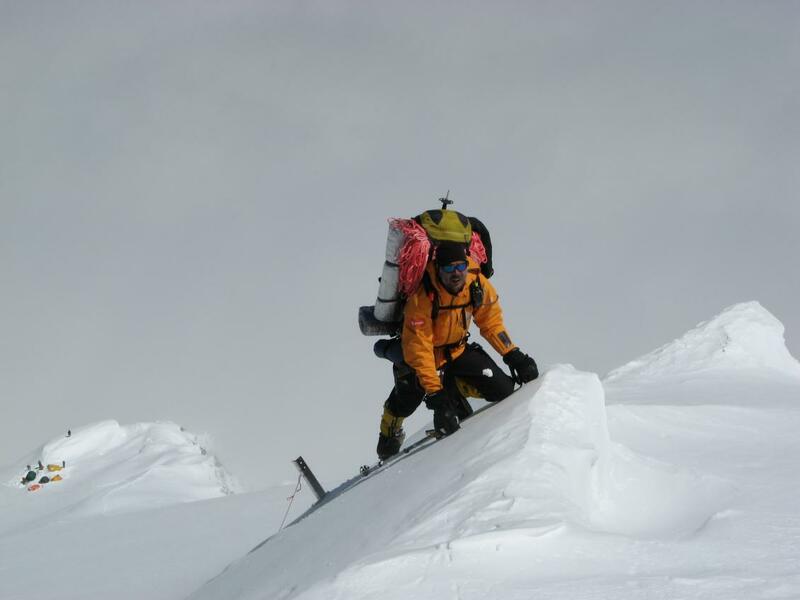 Chris has quite the resume, too: He has summited five of the world’s tallest mountains, including Everest and K2; he’s led over 200 international expeditions; he was the first American to solo an 8,000 meter peak; he guided the first ever reality TV show on Everest. This spring he will be on an expedition to Kanchenjunga, the world’s third tallest mountain. So why land in Golden? Well, Chris wanted, “the intimacy of a community with all of the outdoor resources” that Golden residents know and love. He and his family enjoy the mountain biking trails, the nearly 1,000 climbing routes, the easy access to mountain adventures—all tied in with this great community. Chris’s favorite “Golden Day” starts off before dawn, taking his dog for a run on North Table Mountain. They’ve seen hundreds of sun rises from the trails above Golden. It is a magical way to start a day: The colors of the sky are reflected in the tall golden grasses, owls and bald eagles float overhead, and the very few people who are out are equally entranced. Next, he enjoys special time with his daughter as they wait for her school bus. Afterwards, Chris makes a quick stop at Bean Fosters for a breakfast burrito and a coffee. He then heads to Earth Treks to climb with the morning crew. After a fun lunch at a place like The Sherpa House, it is time to jump on the mountain bike for a crushing ride through White Ranch. After a hard hour or two on the trails, Chris’s Golden Day ends on the patio at Indulge, sharing a bottle of wine with friends. Or, he admits, just watching the sunset from his backyard, where he and his pals may split a growler of IPA from one of his favorite Golden craft breweries. One last insider tip: When Chris has friends in town, he takes them up Clear Creek Canyon to climb “Playing Hooky” a 440 feet, 4-pitch easy/moderate sport climb.